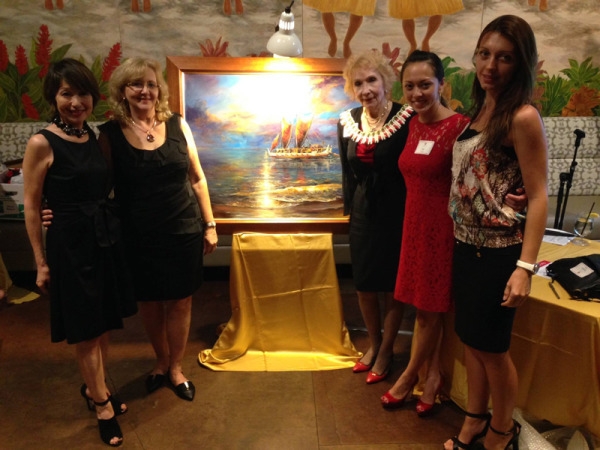 The Honolulu Heart Ball is Hawaii’s premiere formal gala event. Now in its 38th year, it annually attracts over 1,000 of Hawaii’s business, political, medical and community leaders for an unparalleled evening of elegance. Named by Honolulu Magazine as the “Best Reason to Dress Up” in Honolulu,” the Heart Ball is the one gala event that Hawaii’s social set ensures is on their calendar. 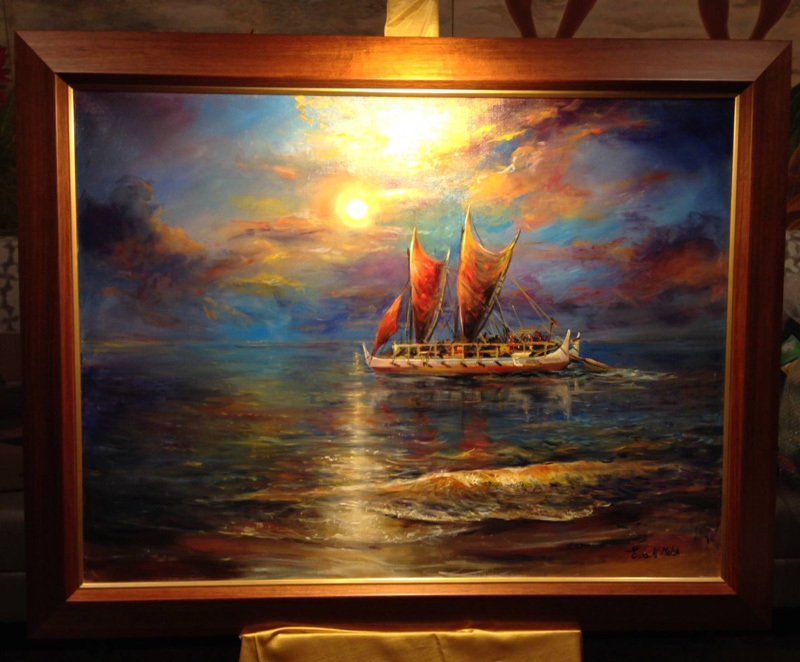 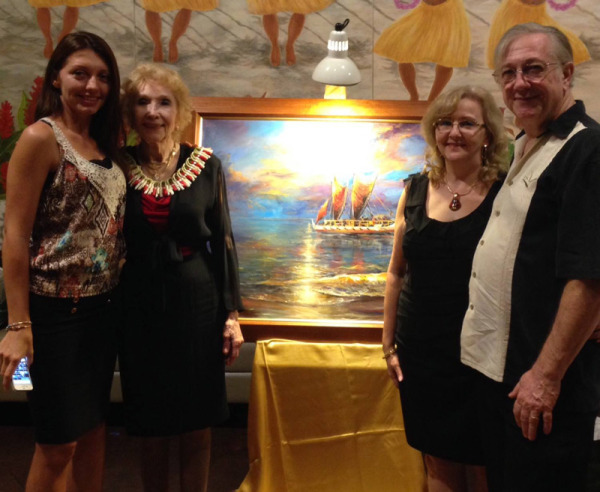 Eva Makk has once again donated an original oil painting titled “Voyaging Hokulea” (30×40) to be auctioned in support of the event. 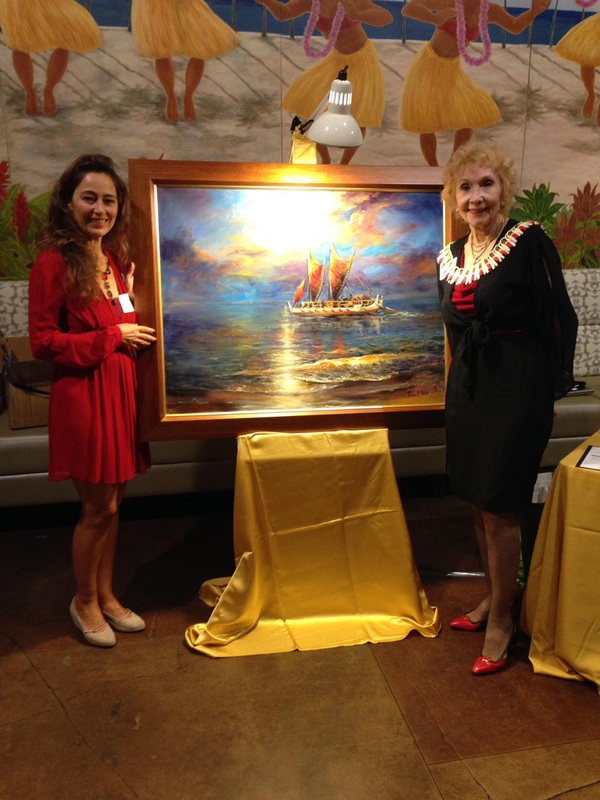 The painting was unveiled at a special wine-tasting held at Mariposa in Nieman Marcus. 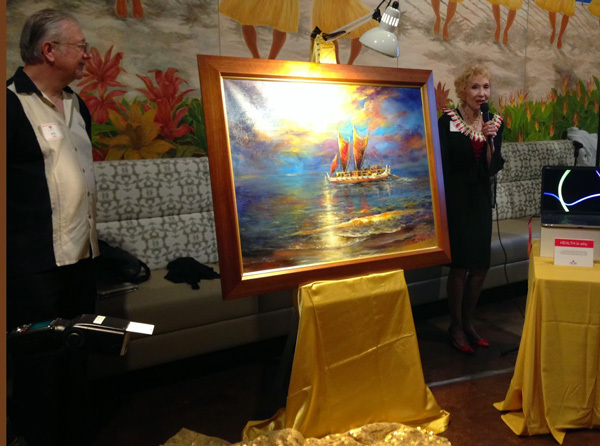 Bidding has begun on the painting, and will continue up until the Heart Ball on February 21st, 2015. 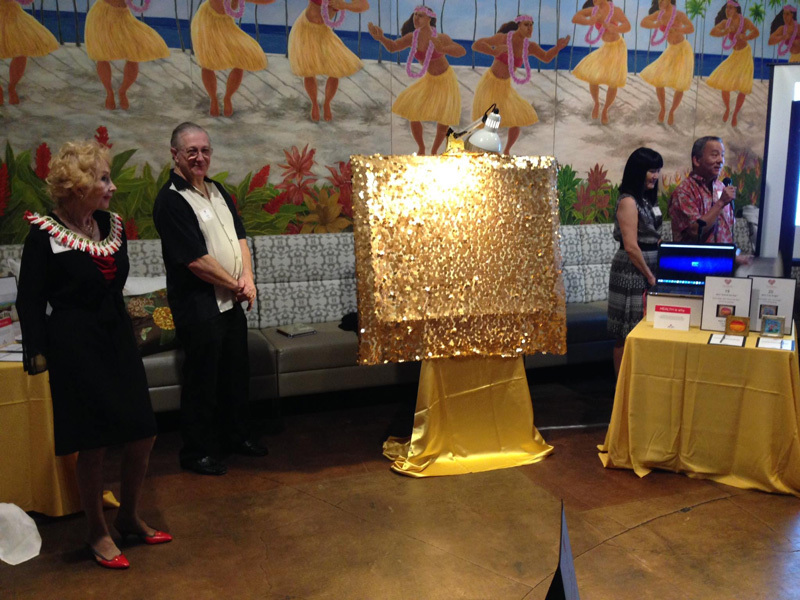 Call the AHA in Honolulu at 808-377-6634 and ask for Aja.